A delegation from Selwyn district has visited the White Mountains, New Hampshire. 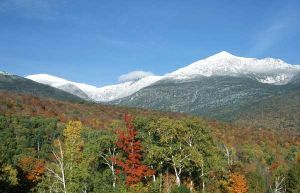 The White Mountains are a mountain range covering about a quarter of the state of New Hampshire and a small portion of western Maine in the United States. The area is a stunningly beautiful landscape, with one of the nation's most-visited national forests. An agreement was signed on 9 September 1992 between Takamiya Town Hiroshima Ken and the Selwyn District Council. Takamiya has since amalgamated with five other surrounding areas to form Akitakata-shi which has agreed to continue the Sister City relationship. The promotion of understanding through friendship between both Districts. A letter of invitation from The Mayor was extended to the Vice Governor of Shandan County in December 2008. On the 26th November 2009 an historic connection was formally verified with the signing, in the Council Chamber, of a sister-city agreement by Zhou Xue Zhong, Director of the Standing Committee of the Shandan County People’s Congress, and Kelvin Coe the Mayor of Selwyn District Council. During the visit the Director and his delegation spent time in Selwyn district visiting schools, farms and local businesses. The accord serves to foster cultural interaction between the two regions initially linked by a common association through New Zealander Rewi Alley, born in Springfield in 1897. Rewi, through his literary writings on Chinese industry and communist philosophy, became an icon in the Shandan County, Gansu Province, China where he lived for 60 years. Settled by English colonists in the early 18th century, Coventry has many elements of old English charm. 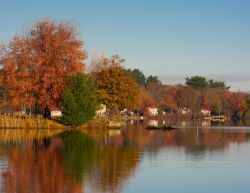 It is the largest town in Rhode Island. 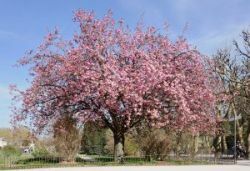 Featured in town is the Coventry Greenway, a cycle path through a variety of scenery, with ponds, woods and fields on its western end contrasting with the more urban old mills and industrial dams toward the east. Here is a short video with an aerial view of our Sister City Coventry, Rhode Island. A Friendship District Agreement between Yubetsu-cho and Selwyn District Council was agreed on 14 July 2000. This relationship exists with the Malvern District and is facilitated by the Malvern Community Board. 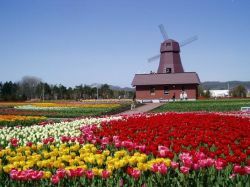 Yubetsu-cho features the Tondenshigaichi Tulip Park, and the beautiful Lake Saroma, right on the shoreline.